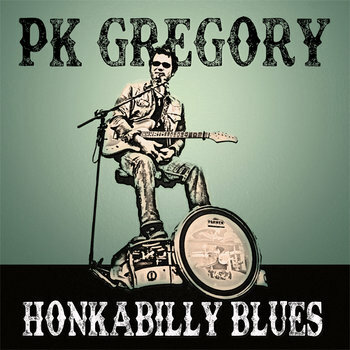 This CD was recorded entirely “live-in-studio” at Franken-Trailer Ranch. There were no overdubs, click tracks, auto-tuners, fluffers or other studio trickery whatsoever involved. 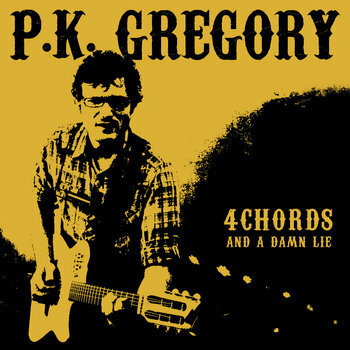 All instruments were played simultaneously in one take by PK Gregory, in front of a live studio audience consisting mostly of his brother Matt, who was usually trying to be as quiet as possible while he made a sandwich or nodded off in his chair like an old man but that one time he made a wilted spinach salad and dropped a handful of the green stuff into a frying pan it sounded like someone dropped a squirrel into a deep fryer, I swear to god. Anyway, PK uses and wants to thank Farmer Foot Drums, A Little Thunder pickups (bringin’ the bass), David Archy undergarments, cheap Chinese guitars, and whoever invented taste buds. Also big, big thanks to my homey Jorrit Intveld who designed the cover and corrected my bad mixes, Robin Dean Salmon for his ears and advice, Erin (my teenage lover) who took the cover photo and still believes in me, and River and Zevon who tolerate my absences with great fortitude and still try to smile, though life is but folly. Love you all!